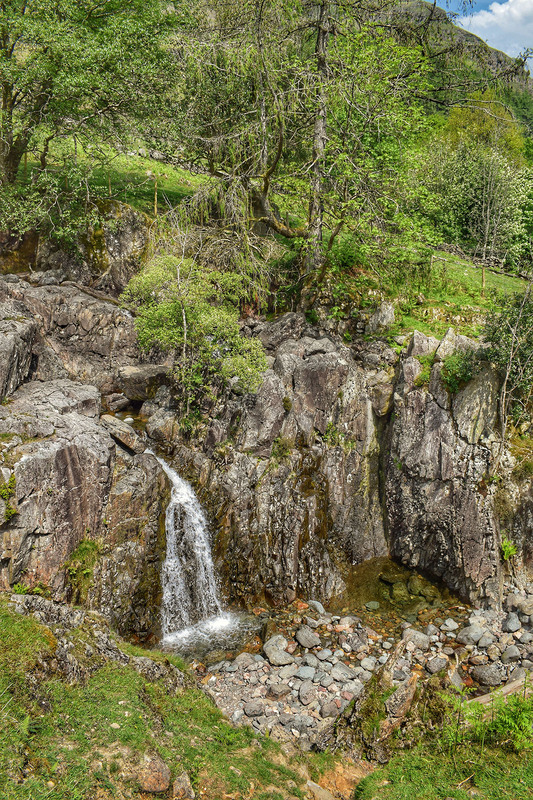 The Lake District offers a picturesque backdrop to many a wild swimming excursion, with lots of tarns, rivers, waterfalls, pools, and of course, lakes that are perfect for taking a dip. 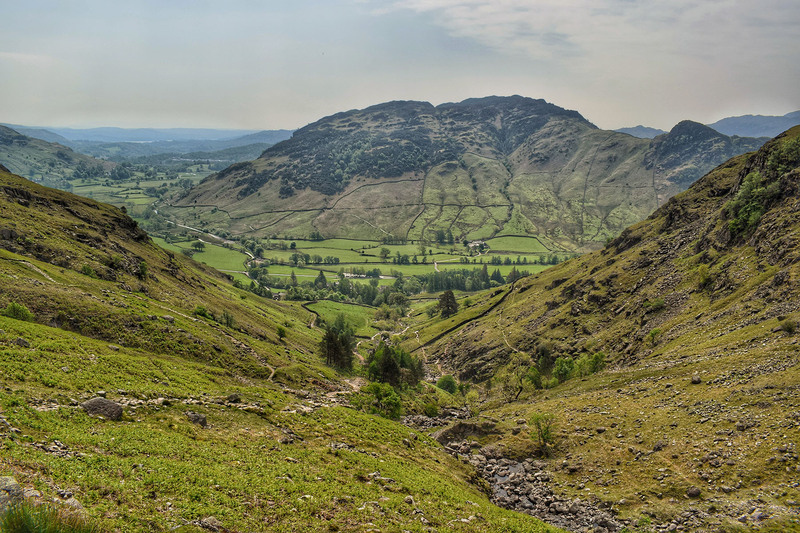 Among these is Langdale’s Stickle Tarn and on a hot day in May, I found myself making the steep ascent of Stickle Ghyll. Reaching the top, I was struck by the most wonderful view – the expanse of water contrasted against Pavey Ark and the dark mountains behind. 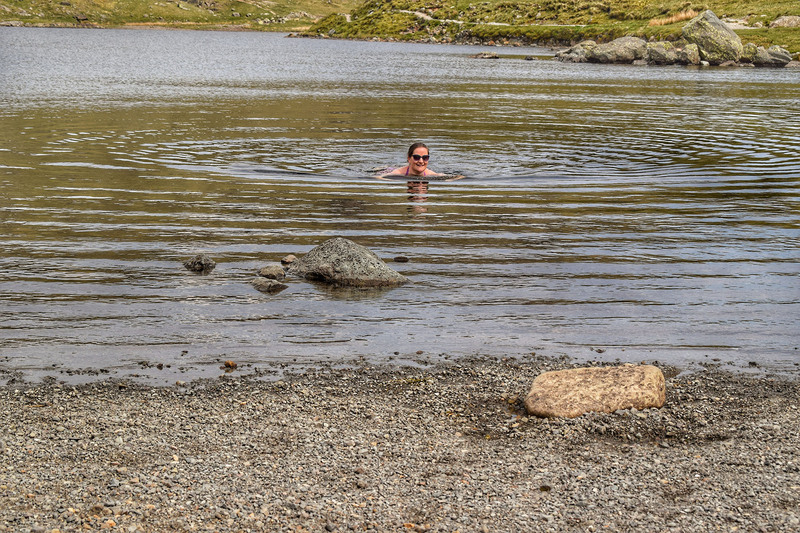 Even on one of this year’s exceptionally hot days, Stickle Tarn was pretty cold. And that is something coming from someone raised taking dips in the North Sea and quite unable to accurately measure temperatures. 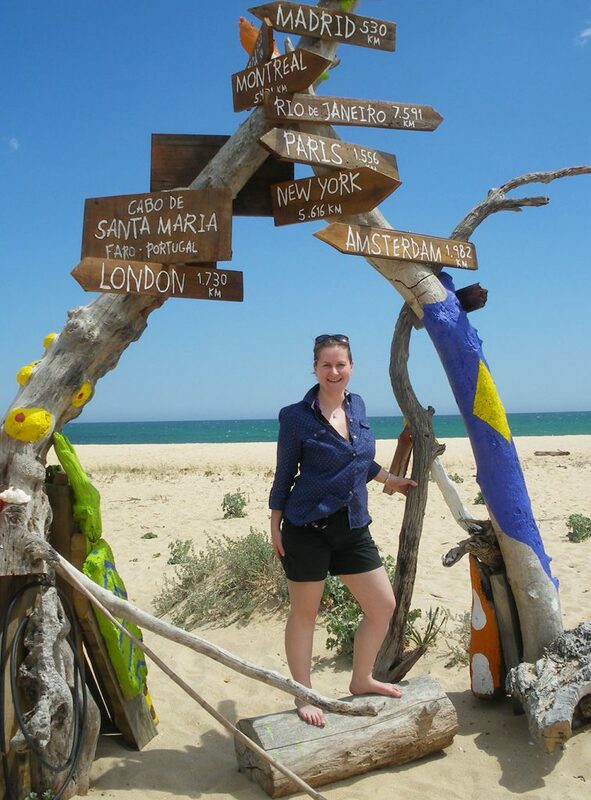 That didn’t distract from the sheer joy of swimming in such a beautiful spot, however. There’s easy access into the tarn at several points and I chose a small pebbly beach just in front of the stone wall that runs across one side. It gets deep quickly enough here to make swimming relatively easy. My bikini was already on underneath my hiking clothes (always pack a bikini), but not everyone will want to go for a swim here without a wetsuit. 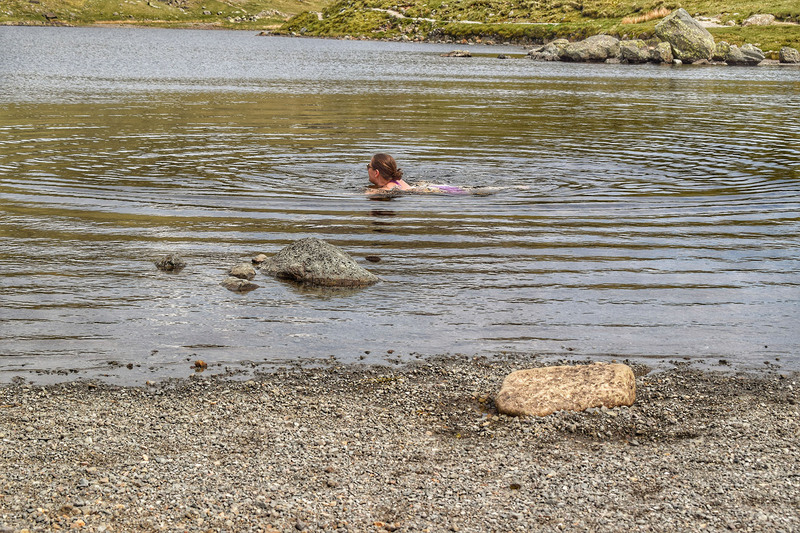 I had flip flops to hand for getting in and out of the water, but pebbles underfoot are one of the more uncomfortable aspects of wild swimming, so swim shoes or good old jelly shoes are certainly worth considering. The water was beautifully clear and calm, but I only stayed in for a few minutes, as it really was that cold, but it was enough to refresh me after my walk. My sister was chatting to me as I swam and it was hard to reply, due to the temperature. I had a towel and warm clothes to put on straight afterwards to make sure I regained the heat I’d lost, so be sure to come prepared, even at the height of summer. 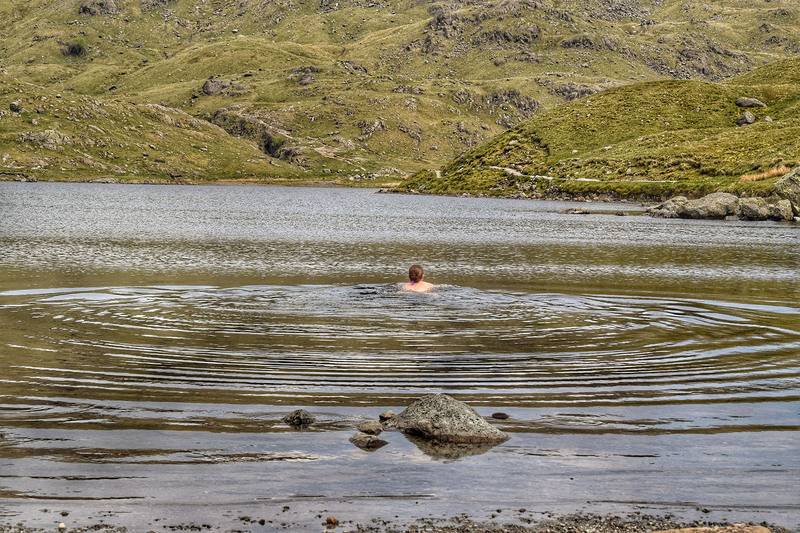 If you aren’t sure about taking a dip at Stickle Tarn itself, then there are a number of inviting pools dotted along the route up Stickle Ghyll. These are fed by the stream and a series of waterfalls and while some are more like paddling pools, there are others where I think you would be able to submerged yourself. 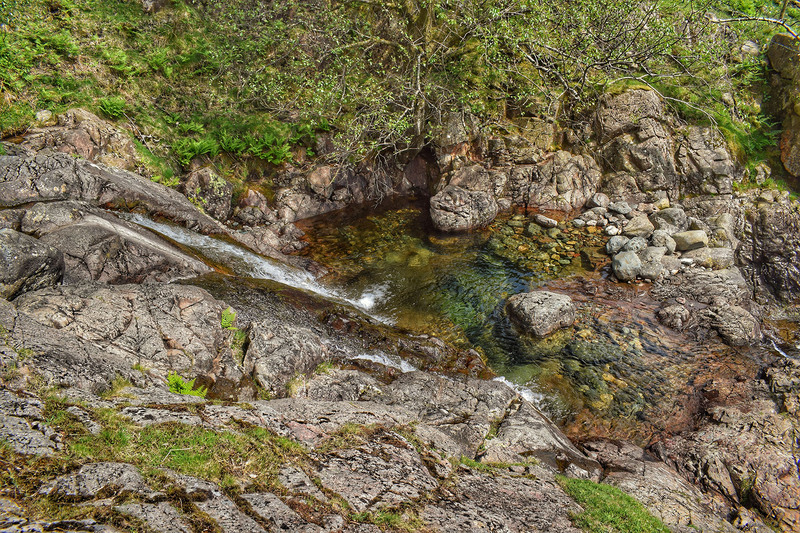 There are two car parks at the base of Stickle Ghyll, meaning there is ample parking. One of these is run by the National Trust, so be sure to bring your membership card, if you have one. 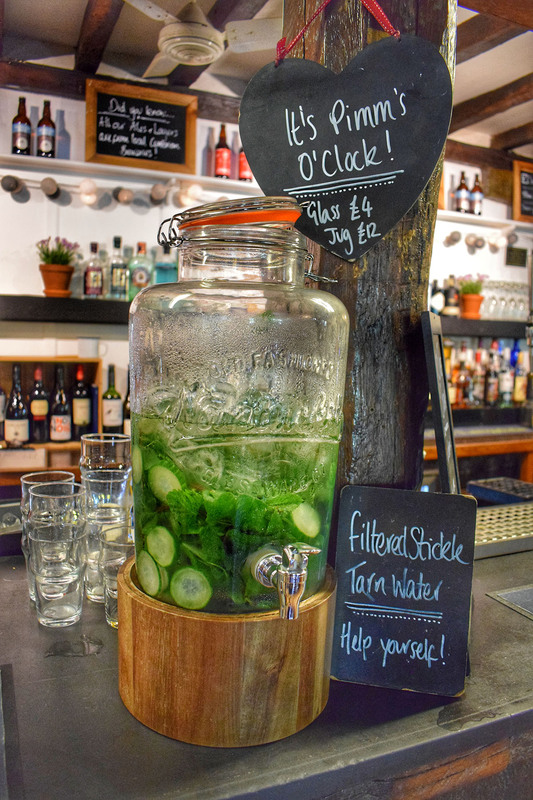 Stickle Barn is the pub run by the Trust at the bottom of the hill and you can complete the Stickle Tarn experience by drinking filtered water from it, as there is a Kilner jar for the purpose set up on the bar. 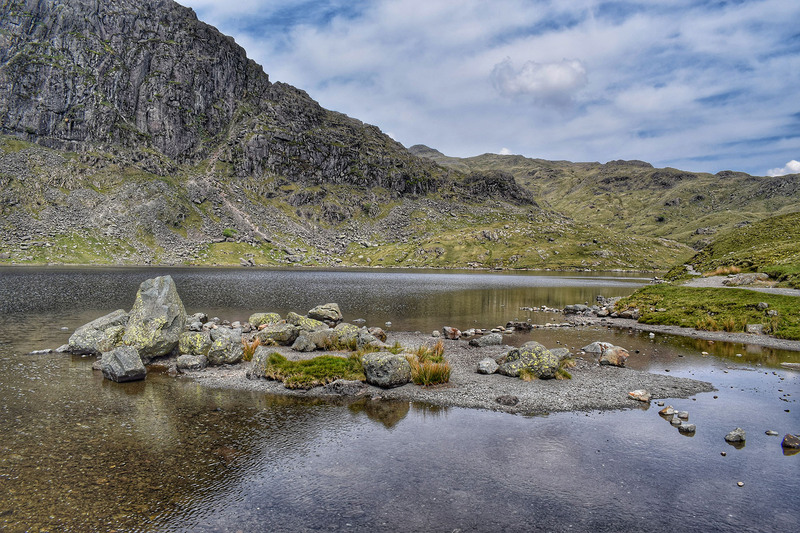 For more information on the Lake District and wild swimming, check out the LAKE DISTRICT travel guide. Always assess each wild swimming situation carefully before getting into the water. If the conditions aren’t right, then make the choice not to swim and come back another day. If in doubt, remember the SAFE code – it stands for Spot, Advice, Friends and Emergency. It is a very special spot indeed. Oh my goodness! 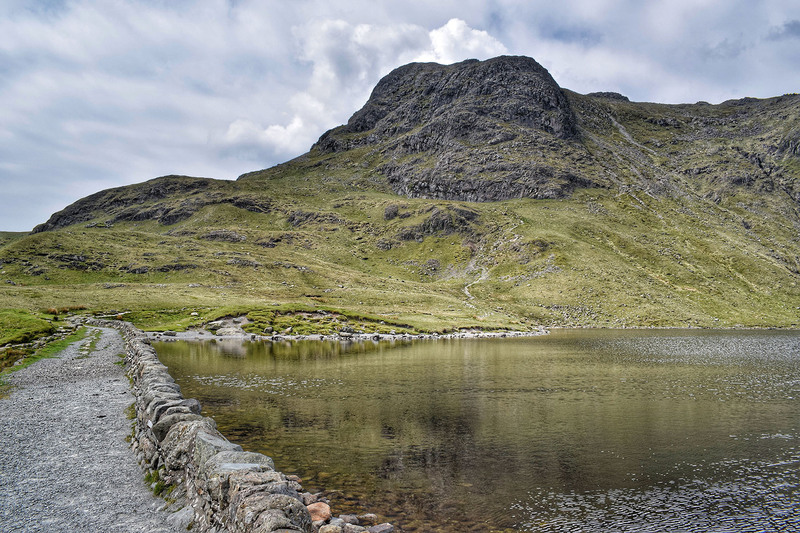 You are braver than I am – I only paddled in Stickle Tarn when I went, it was so cold! 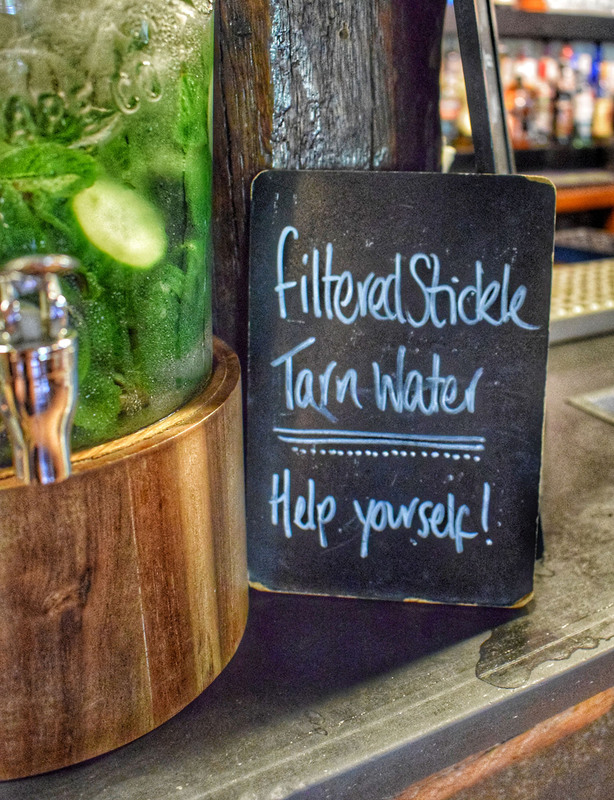 I bet it was super refreshing on a hot day though. Love the photos! It was cold, even for me, but absolutely wonderful. Helps that we had a nice, hot summer for a change.